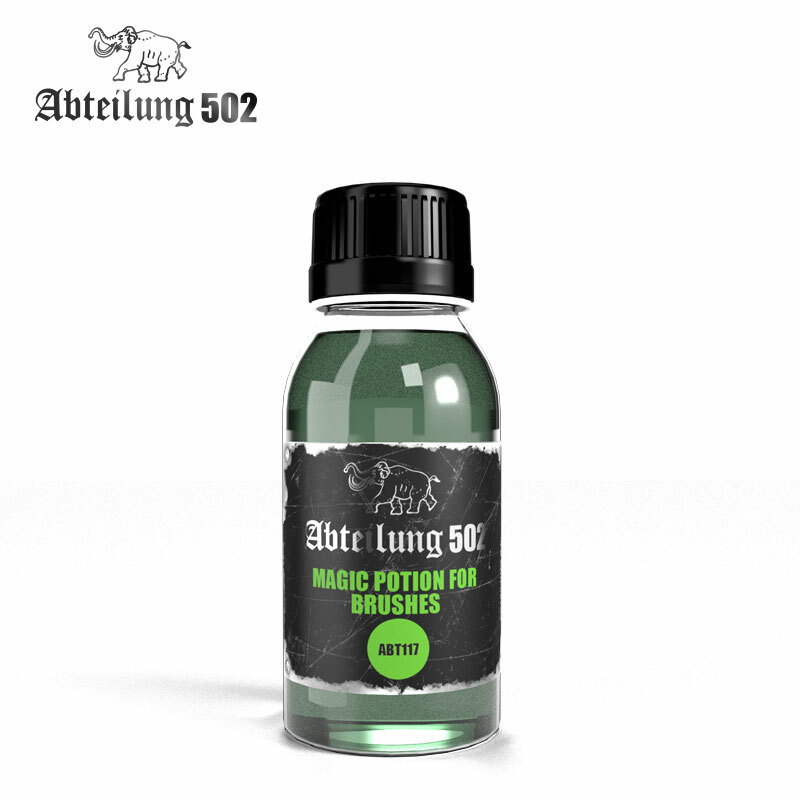 Abteilung 502 Magic Potion For Brushes 100mlThis high quality cleaner and restorer for brushes is indicated for modellers that want to have their brushes like new ones again. It contain no solvents no alcohols that can damage synthetic or natural brush´s hair. It´s recommended to dip the tip of the brush in this liquid for 24 hours for deep cleaning and restoration, and repeat the process if necessary with seriously damaged brushes. This product will extend the life of your brushes more than any other cleaner. Used in combination with the ABT 114 Magic Gel for brushes it will keep your brushes as new as the first day.